Specialist areas:Deal structuring, consultative selling, dealing with all levels of decision makers within a business, more importantly closing business off! 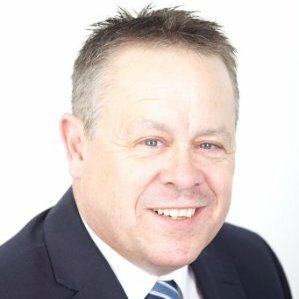 This week we meet Eddie L, an exceptionally accomplished independent Capital Equipment Sales and Leasing/Asset Finance sales representative with over 30 years experience. Eddie is now looking for exciting new self-employed sales opportunities on CommissionCrowd and this interview will give potential partners an insight into his experience and expectations. Where did your career as a sales representative begin? My career in sales started as a trainee stationery/typewriter sales person over 30 years ago. It was a sink or swim opportunity, with no formal sales training given. If you survived you were a star, if you didn’t it was bye bye! Can you tell us more about the companies you have sold to? I have always been involved in B2B sales and sales management. I'm also a firm believer that if a sales rep can succeed in the B2B arena, the transition to B2C sales or a mix of both would not be an issue. I have sold into standard commercial accounts, major accounts and national accounts - essentially I have experienced success when selling into a number of arenas, from one man bands to a very large national building society. The approach is usually the same however, prospecting and proposal structuring can be slightly different, as can the timeframe involved in the sales cycle when dealing with major corporations. What would you say is your proudest sales achievement to date? One particular sale stood out for me when I was working in the copier industry. I nurtured and successfully closed a deal with a national account client that took 18 months to come to fruition. It was a particularly satisfying sale for me as I successfully fought off heavy competition along the way and it turned out to be a very profitable deal which was worth the long battle. What was the reason you decided to become a self-employed sales agent? Ultimately the reason I chose to break away from the constraints of employment and set up on my own as a self-employed sales agent was to enable me to enjoy the flexibility of being able to work with different organisations simultaneously. Working with multiple company Principals whose products and services compliment each other enables me to earn more in terms of commission but also gives me the satisfaction of helping them grow their business while in some cases, also being able to provide valuable input into their sales processes and direction. In your opinion what sets an independent sales agent apart from an employee? Given a good sales opportunity, a self-employed sales agent will strive for greater profit and will have a greater desire to form and build long term relationships with clients - particularly if the opportunity has a residual income attached to it. Experience and contacts is another important benefit to working with sales agents who work independently. In many cases, a sales person who has been working in a particular industry for a number of years and already represents a number of non-competing product or service lines, will already have existing relationships with potential clients for new lines already. What would you say makes a commission-only sales job attractive? Can you tell us a little about the methods you use to prospect and sell? I use a variety of methods to get myself in front of prospective clients, whether it be telephone canvassing, networking, referrals or any other route to market. Ultimately selling is simple, people buy people! Why did you join CommissionCrowd? There is a real lack of credible places for independent sales agents to find new and lucrative opportunities. It can also be a challenge to juggle multiple product lines at the same time while staying organised and efficient. I like that the CommissionCrowd not only gives me the ability to connect with and help businesses who need a professional sales performer, but I also like that you provide us with great tools to save time in our working day, like your simple CRM and sales pipeline management which has been built specifically for independent sales agents. The fact that CommissionCrowd is also free for sales agents is a major bonus! Can you tell us about the kind of opportunity you are currently looking for? I am currently open to hearing from companies that require independent sales input and perhaps don’t have the required skill set to create and manage their existing sales process as efficiently as it could be.